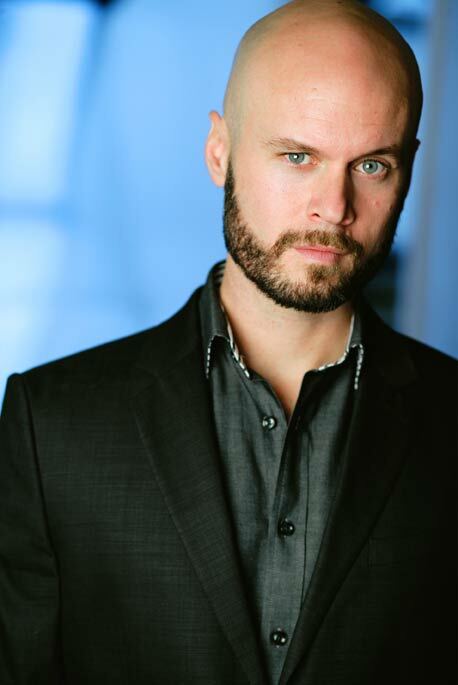 Craig Baldwin was the first Australian to graduate from the prestigious acting program at The Juilliard School. He has gone on to act and direct extensively across the U.S. and internationally. Craig currently serves as Artistic Associate at Shakespeare Theatre Company in DC, and as Producing Director of the Short New Play Festival at Red Bull Theater. As a director, Craig has worked with Lincoln Center Theater, Roundabout Theater Company, Classic Stage Company, Shakespeare Theatre Company, 5th Avenue Theater, and many more. Recent Craig directed the Sydney premiere of Annie Baker's The Flick at Seymour Centre, garnering 7 Sydney Theatre Award nominations, including Best Director. Other recent productions include Coriolanus for the Shakespeare Theatre Company (DC) ACA program, and the Australian Premieres of Annie Baker's The Aliens and James Fritz's 4 Minutes 12 Seconds at the Old Fitz Theatre in Sydney. Craig was Associate Director on The Secret Garden at 5th Avenue, TUTS, and Shakespeare Theatre Company. He directed the world premiere of C.O.A.L. (confessions of a liar) at 59E59, Columbinus at Marymount Manhattan College, Midsummer at Atlantic Theater School and a site-specific production of Antony & Cleopatra for Stonington Opera House Arts in Maine. Craig's direction of the premiere of The More Loving One by Cory Conley garnered the Best Overall Production of a Play award in the 2011 New York Fringe Festival. He has assisted directors Sam Gold, Ethan McSweeny, Ed Iskandar, Michael Kahn, David Muse, Ron Daniels, David Armstrong, Brian Kulick, and more. New York acting credits include: Twelfth Night for Shakespeare in the Park, with Jimmy Smits, Julia Stiles, and Michael Stuhlbarg, Age of Iron, An Oresteia, The Tempest (with Mandy Patinkin), Richard III and Richard II, all for Classic Stage Company, The Field for Irish Repertory Theatre, Septimus and Clarissa for Ripetime, and many more. Craig has appeared with Two River Theater, Repertory Theatre of St. Louis, The Reduced Shakespeare Company, Pittsburgh Public Theater, Shakespeare & Company, Milwaukee Shakespeare, Connecticut Rep, Berkshire Theatre Festival, and many more. Craig is the voice of the audiobooks Sweet Damage and A Fraction of the Whole and ESPN's coverage of The Australian Open. In 2009, Craig was named an "artist of extraordinary ability" and made a permanent resident of the United States.